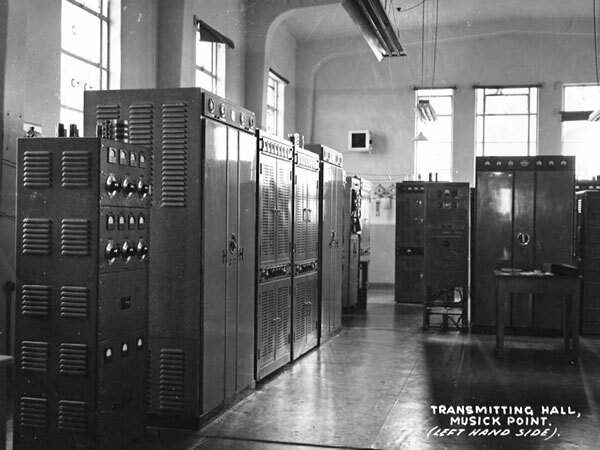 The transmitting station comprised a main transmitting hall (approx. 17 metres by 13 metres) an engine room (approx. 4 metres by 3 metres), a technician’s workshop (approx. 5 metres by 3 metres), kitchen, storage room and toilets. 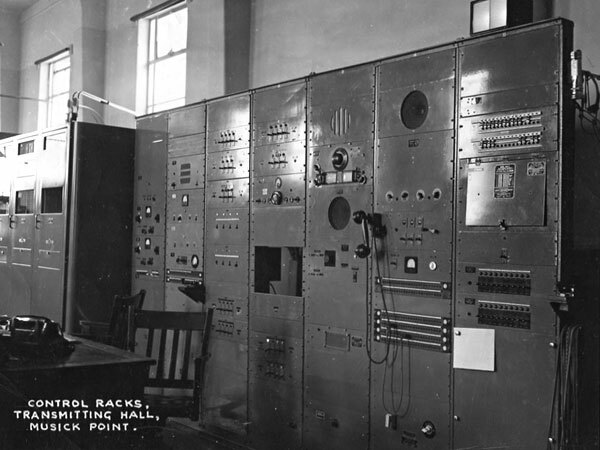 Transmitters at Auckland Radio’s Oliver Road transmitter site: L-R: RCA 1301, Collier & Beale 873, Dansk and two JRCs. MPRG member Paul Chamberlain ZL1BBR, who was a technician at Auckland Radio ZLD, recalls that the following MW and SW tranmitters were in use up until the station’s closure in 1993. “When weather and other main broadcasts were being made, all three SSB transmitters were in operation simultaneously, covering various frequencies,” says Paul. 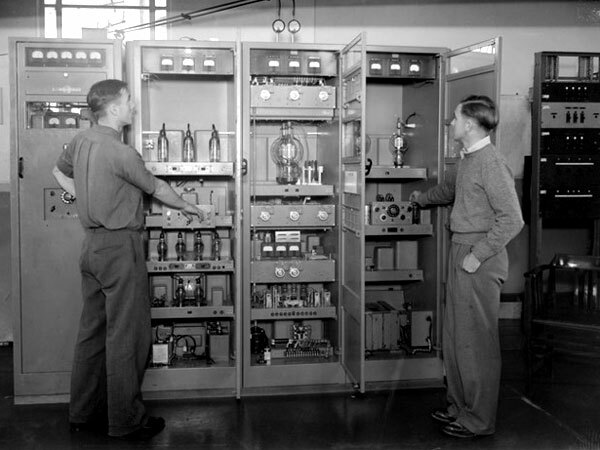 “The operators could use either of the MCW transmitters. Both were always kept functional. 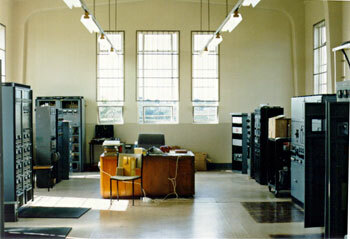 The Harris transmitter, being fairly new, was sold when Auckland Radio closed in 1993. All of the other transmitters are now in the Vintage Transmitters collection of the Musick Point Radio Group. 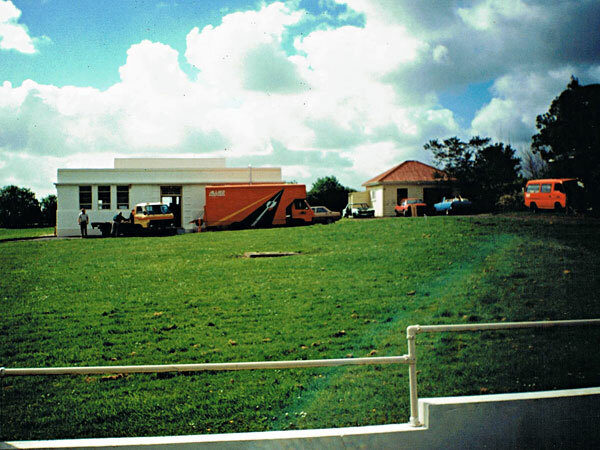 Members of MPRG move equipment out of the Auckland Radio Oliver Rd transmitter building. 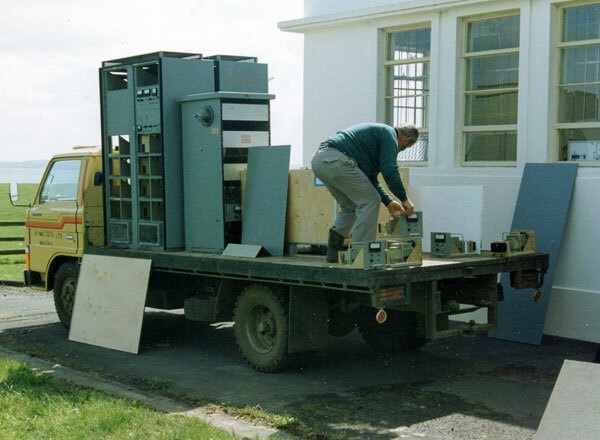 Members of Musick Point Radio Group rescued this 500 kc/s Nautel transmitter from the Auckland Radio Oliver Road transmitter site before it was demolished. 1. Morris, D.C. (2002). 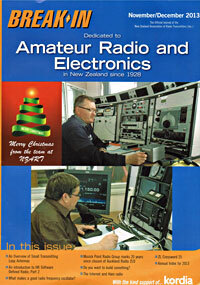 Auckland Radio, Alpha & Omega. Waitakere City, NZ: Copy Out West. p. 65.